I am such a fan of the Hawaiian islands. I love them so much that I got married on a beach in Maui (a little tip if you decide to do this.. heels don’t work in sand!). 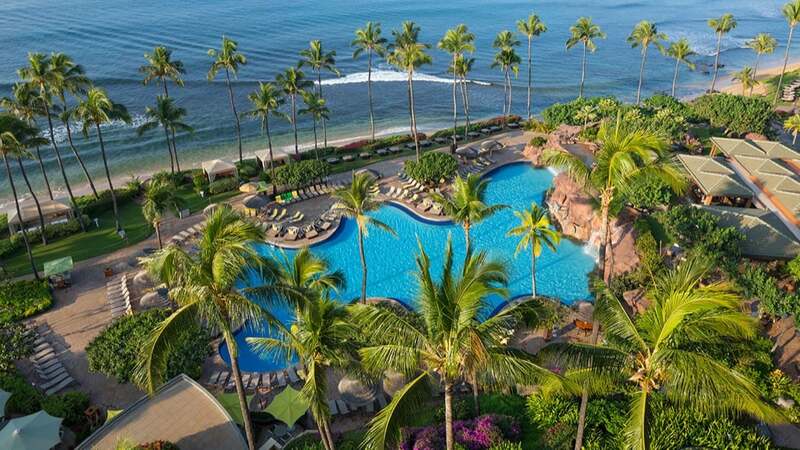 For a little spot of paradise on these perfect islands, a great choice is the Hyatt Regency Maui, which was voted a Top 10 Most Popular Honeymoon Resort in Hawaii by Conde Nast Traveler and, more importantly, sits on the edge of the beautiful Ka’anapali Beach. 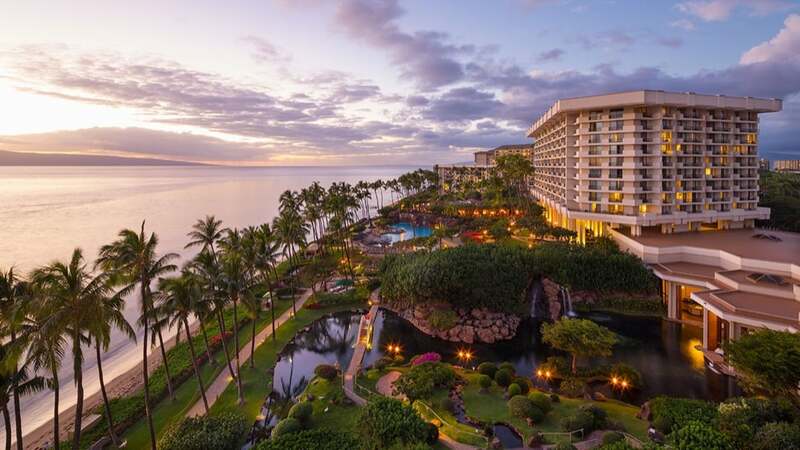 The Hyatt Regency Maui is set right on Ka’anapali Beach on the west coast of Maui in Hawaii and surrounded by 40 acres of immaculately landscaped oceanfront gardens. 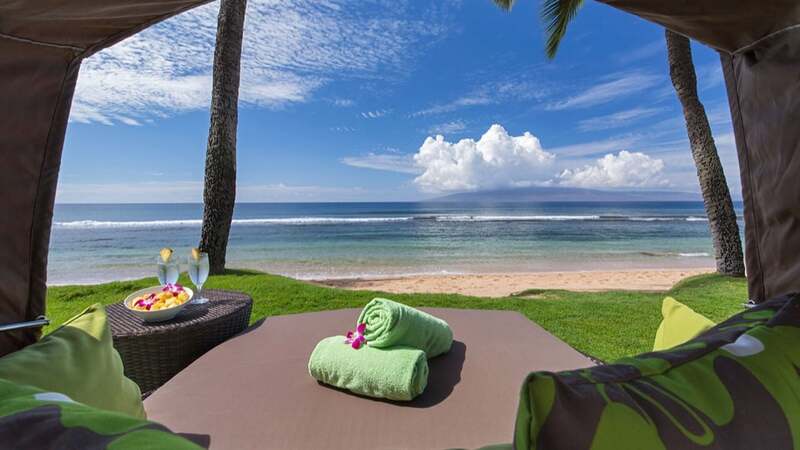 Being just 27 miles from Kahului Airport, transfers are easy and inexpensive. 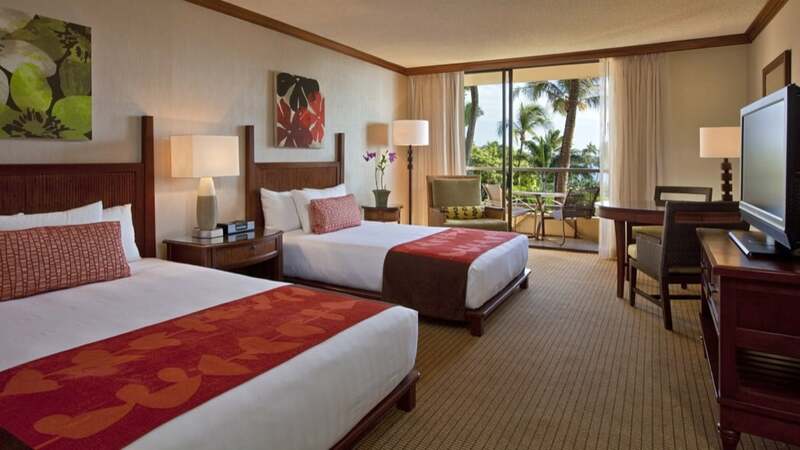 Once you are in Ka’anapali Beach, everything is on your doorstep. The beach laps up to the hotel’s grounds and a beautiful pathway meanders along the beach, taking you right to the end, where tiki torches are lit on the cliff every night. In the other direction, you can walk or take an open-air trolley bus to the historic and cultural whaling village of Lahaina. Here, you can shop, rest under the huge Banyan tree that sits in the centre of town, or sit out and enjoy a glass of wine or some tasty seafood in one of the many cafes lining the streets. This is also a great place to pick up a snorkelling boat trip which will take you out to reefs in the clear waters of the Pacific where you can swim with amazing and colourful fish. Of course, when you are staying in such a beautiful property, it is hard to drag yourself away. 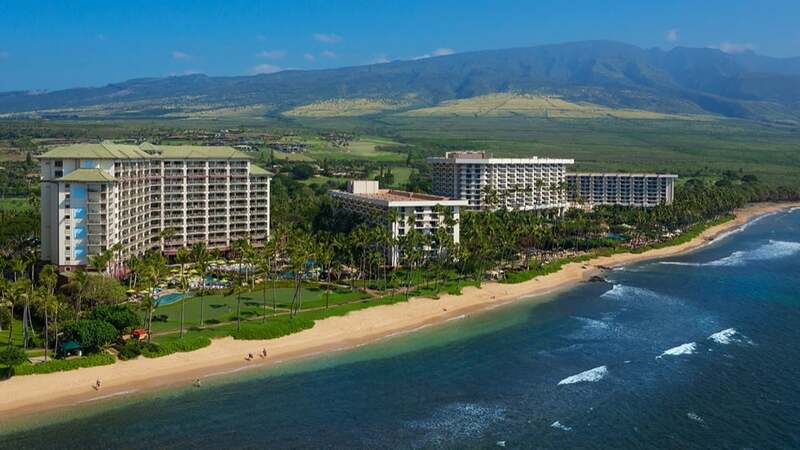 The interior’s of the Hyatt Regency Maui are elegant and Hawaiian in style, but this place is more about the outdoors.. the grounds, the sunshine and of course that beautiful Hawaiian golden sand beach. 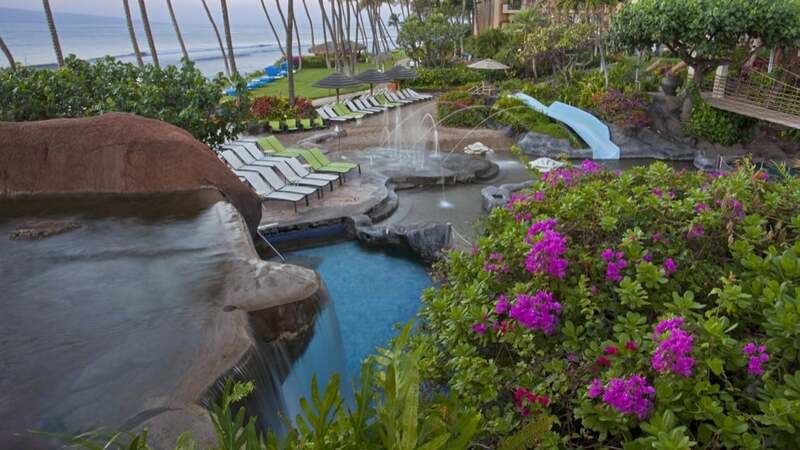 Probably one of the most magical features of the Hyatt Regency Maui is the stunning freeform swimming pool which sits next to the beach. The pool is large and to one end is a rock formation with waterfalls that you can swim under. The pool also has waterslides for the brave and if you want some adult time, there is an adult only pool for a more relaxing bathe. Don’t leave without trying a Lei making class or a hula lesson and if you are a kid, an undoubted highlight is the penguins that live in the hotel’s grounds along with the interactive children’s pool with a 25-foot water slide, sandy beach play area, leaping water fountains and floating dolphins and turtles. 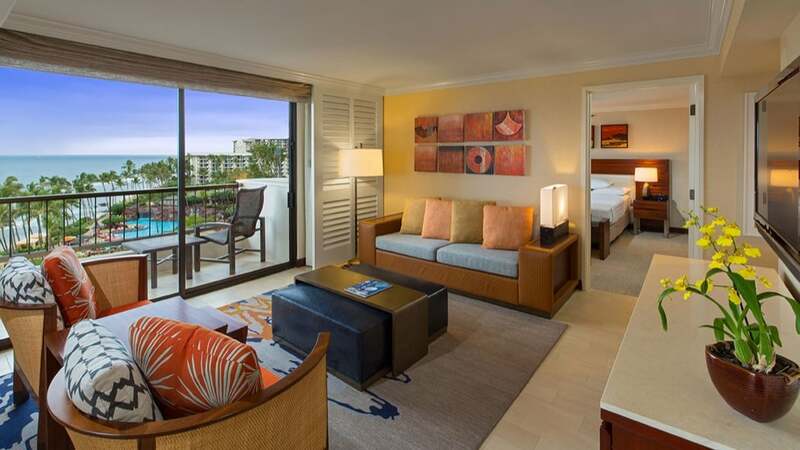 There are 806 spacious rooms, each which includes private lanais. 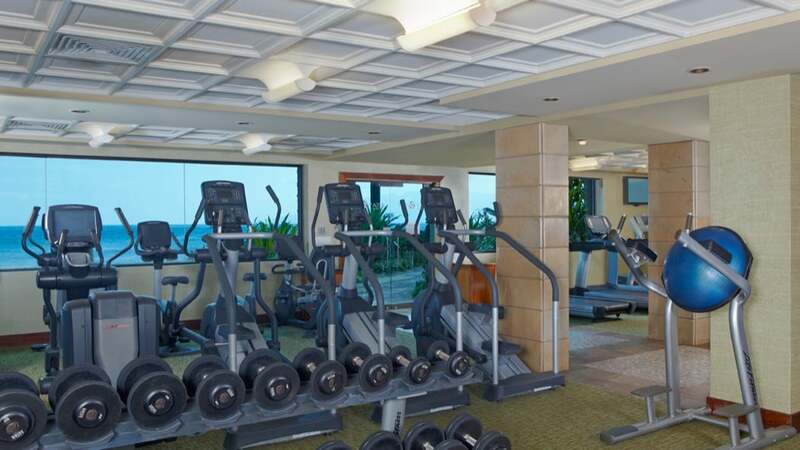 All the usual amenities you would expect from a five star hotel are present, the main differentiating factor between the rooms being the view. If you book a Regency Club room you have access to a private club lounge where continental breakfast is available as well as refreshments and snacks throughout the day and light hors d’oeuvres and desserts in the evening. 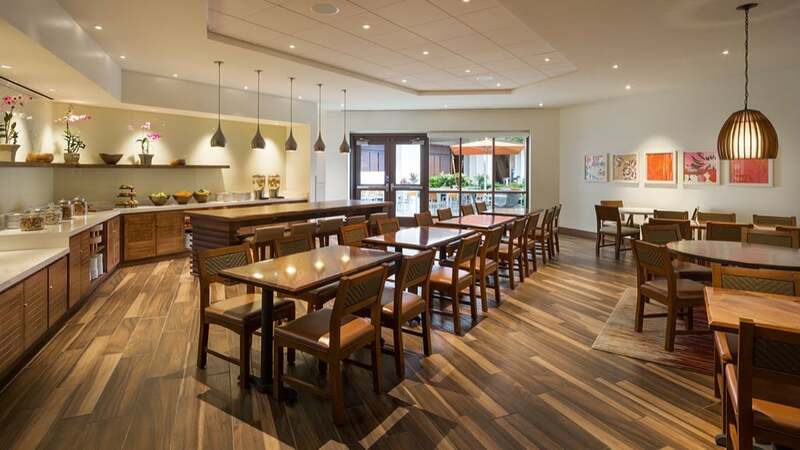 There are comfy sitting areas as well as tables and chairs ideal for enjoying breakfast. There is also an outdoor patio where you can enjoy your complimentary food and drink in the sunshine. 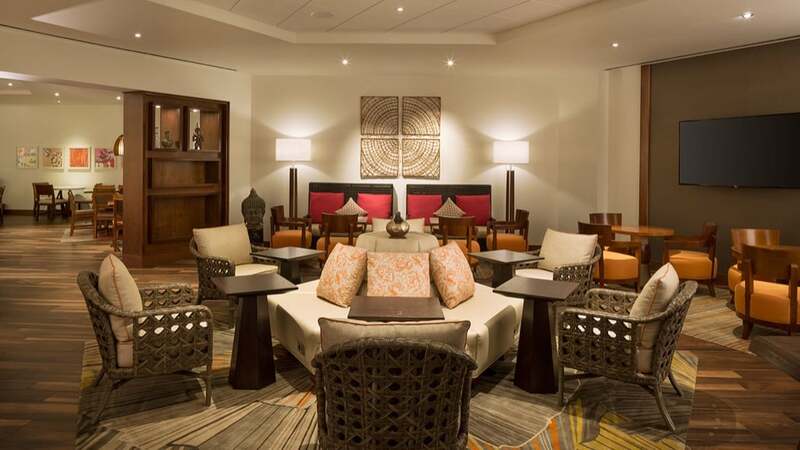 The hotel also features an impressive 10 award-winning restaurants and lounges. 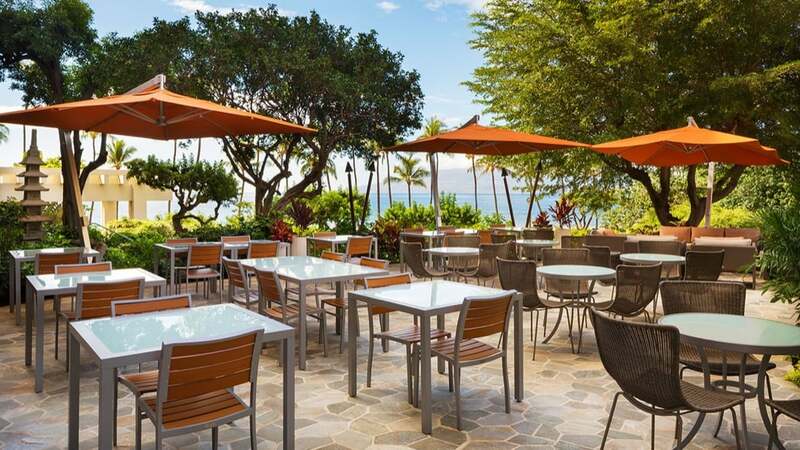 They all offer something a little bit special; from a traditional Hawaiian lu’au experience to Asian-inspired cuisine with a Hawaiian flair at the award-winning Japengo restaurant. Our favourite is the fabulous cocktail bar tucked between the waterfalls. Or take the romantic route and dine in private on your private guest room lanai or better still request private Oceanside Dining with candles and champagne. 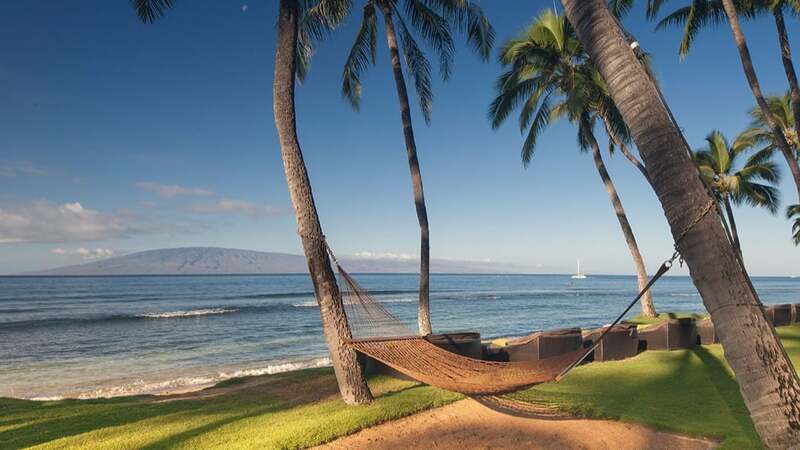 For me, Ka’anapali Beach is one of the most romantic places in the world. In the evening, as the sun sets, tiki torches are lit along the beachside pathways that light up the tropical gardens of each hotel. I can think of nothing better than strolling along that beach, watching the waves crash on the sand and listening to the Hawaiian music drifting out across the beach on the warm breeze.